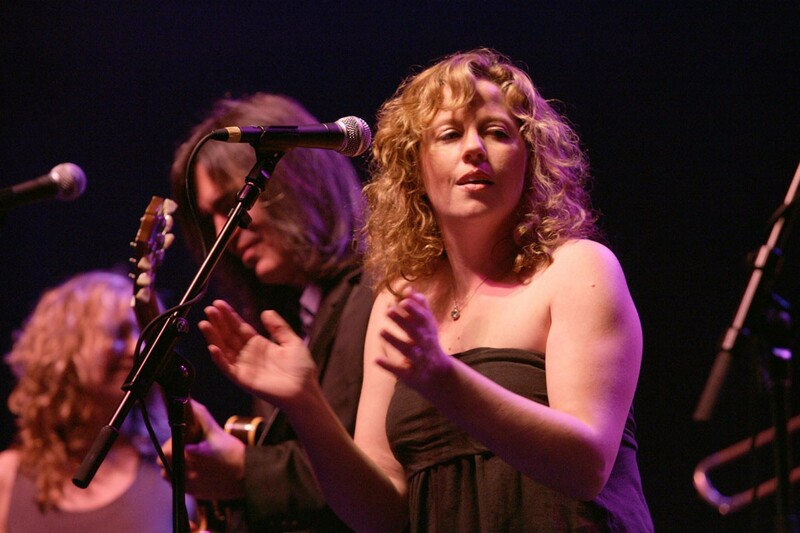 Solo Mom Amy Helm has been making music for most of her life. Daughter of The Band drummer Levon Helm and singer/songwriter Libby Titus, Helm always felt comfortable onstage in choirs, jazz ensembles, and high school bands. She went on to become a member of the Levon Helm Band, work with her dad on his Midnight Ramble shows and tours, release albums with the group Ollabelle, and tour with her band, Amy Helm & the Handsome Strangers. Helm’s parents split up in 1976, and though she remained close to her father, she didn’t always understand his musical legacy. Helm never listened to any of The Band’s albums until she was 16 or 17 years old, and when she did, it was thanks to her mother. “My mom gave me a cassette tape of Big Pink. I had my Walkman and I’d take it on the bus every morning to [school] and I fell so madly in love with that record,” Helm told The Wall Street Journal in July 2015. Titus, whose own songs have been recorded by artists such as Linda Ronstadt, Bonnie Raitt, and Carly Simon, also turned her daughter on to musicians Dolly Parton and Brenda Russell. Helm, who won a Grammy for playing on and producing her father’s 2007 album, Dirt Farmer, released her first solo album in 2015. Didn’t It Rain, which debuted in July, incorporates elements of New Orleans funk, gospel, swamp, folk, country, pop, and soul. You can listen to her music here.